The engines on the MAGNIFICA have recently been through extensive service. 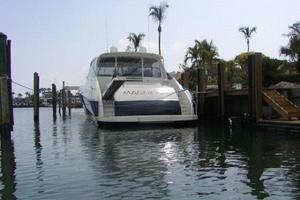 They are twin MTU's 12V 2000 @1370 hp each with 1680 hours. 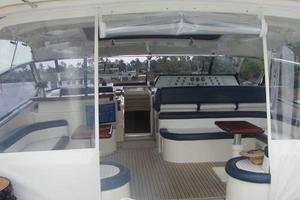 The boat was painted in 2005 and the bottom was painted in Feb. 2012. 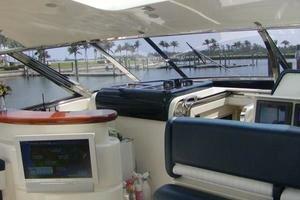 The drives were serviced in Feb. 2012. 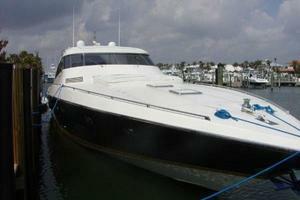 She features a radar arch with a retractable electric powered sun roof. 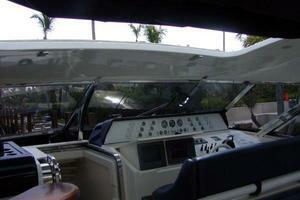 The upper deck is air conditioned with an isinglass enclosure. 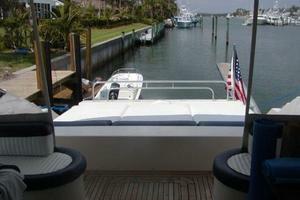 The upper deck has all new cushions (2005), and a varnished teak bar with BBQ grill. 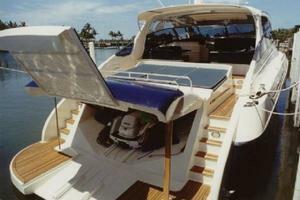 Exiting the upper deck is a walk-around with a center sunpad. There are also sunpads on the bow. 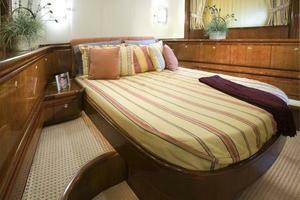 The boat sleeps 6 in 3 staterooms plus crew quarters. 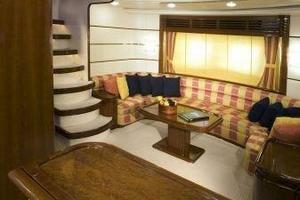 A stairway leads down from the cockpit to the salon. 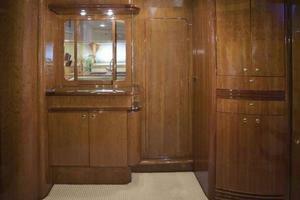 The salon features high gloss burled cherry furniture and a flat screen TV. 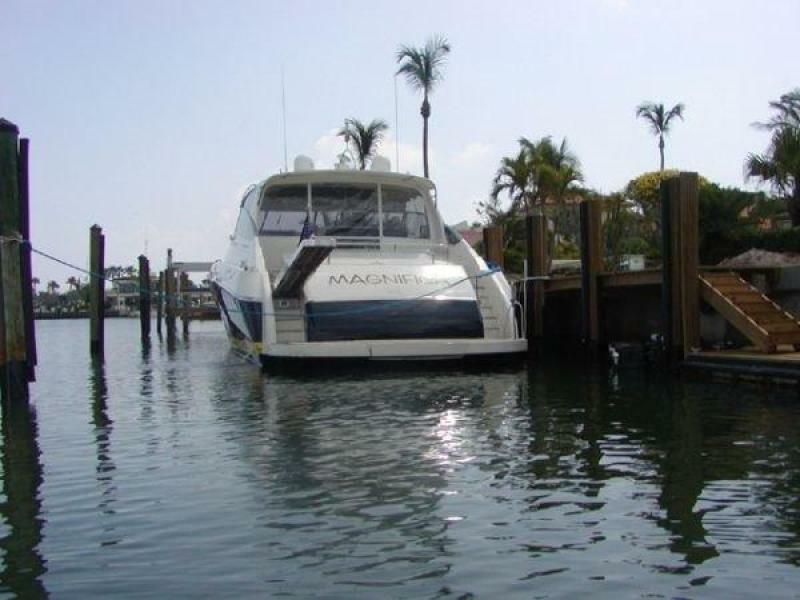 MAGNIFICA comes equipped with a garage currently storing a 12' inflatable tender (not included in the sale) or a jet ski (not included in the sale). 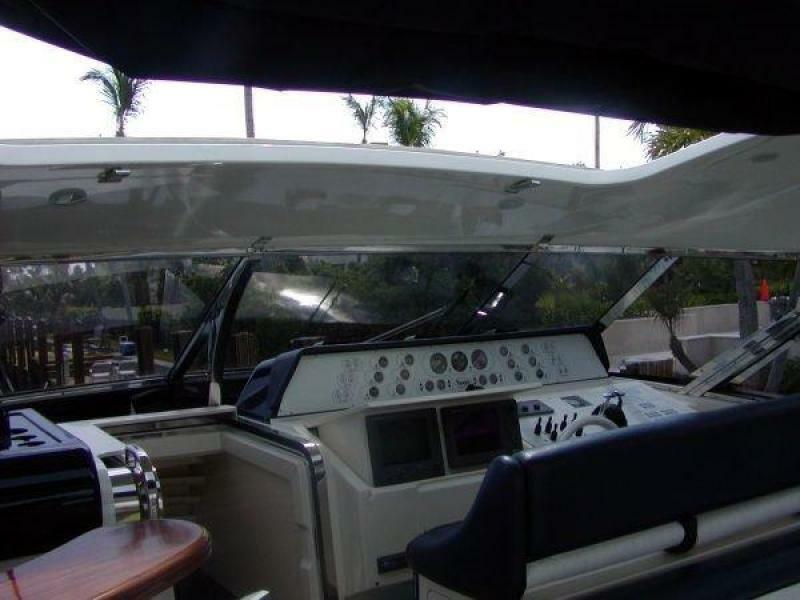 the teak cockpit, swim platform and aft deck make this boat very appealing. 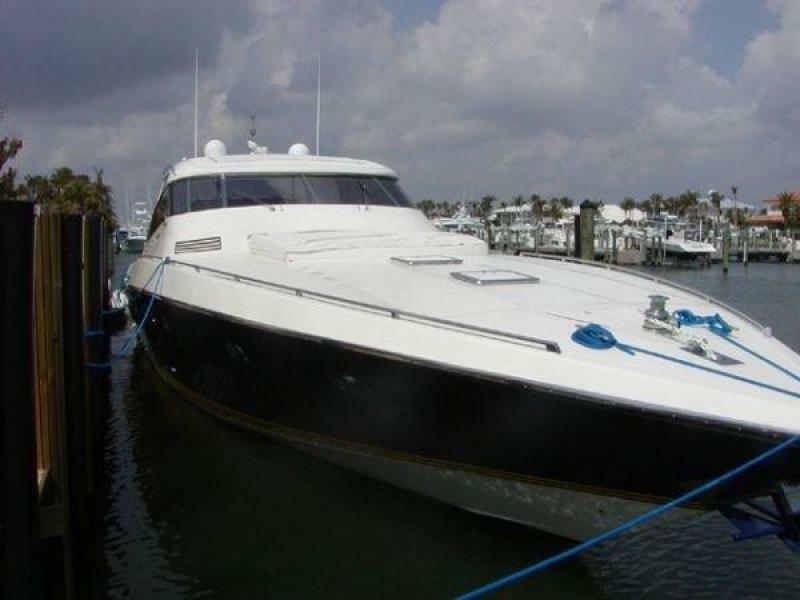 She cruises at 37 and tops out at 41 knots. 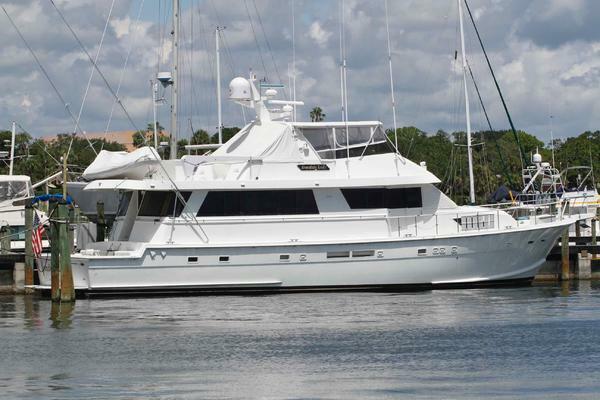 United Yacht Sales New Jersey would love to guide you through a personal showing of this 74' Baia 74 2000. 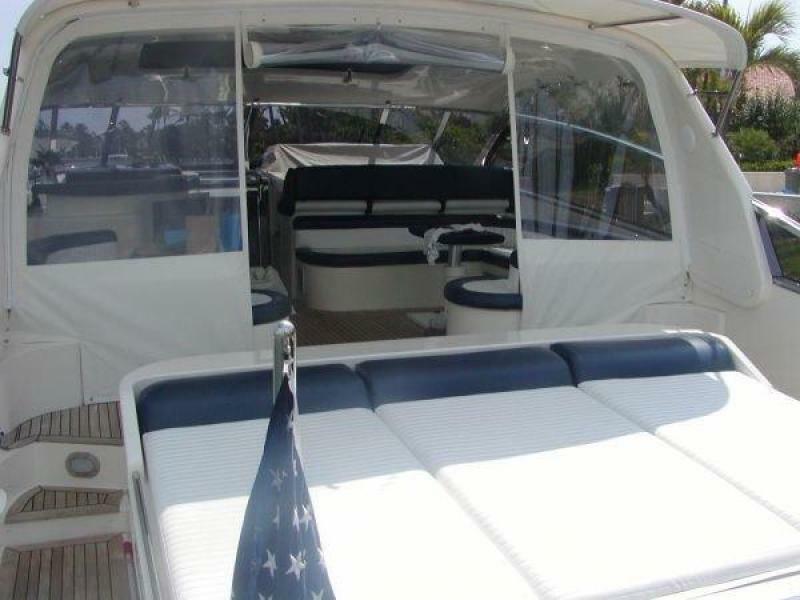 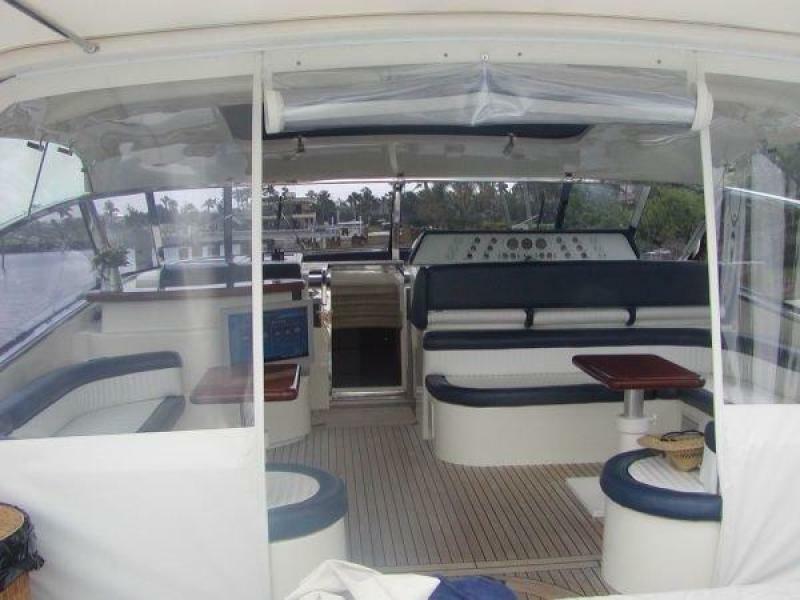 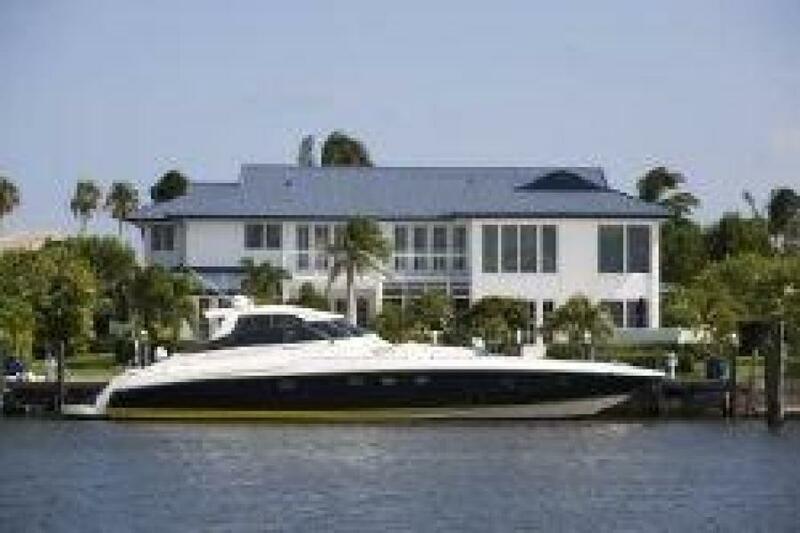 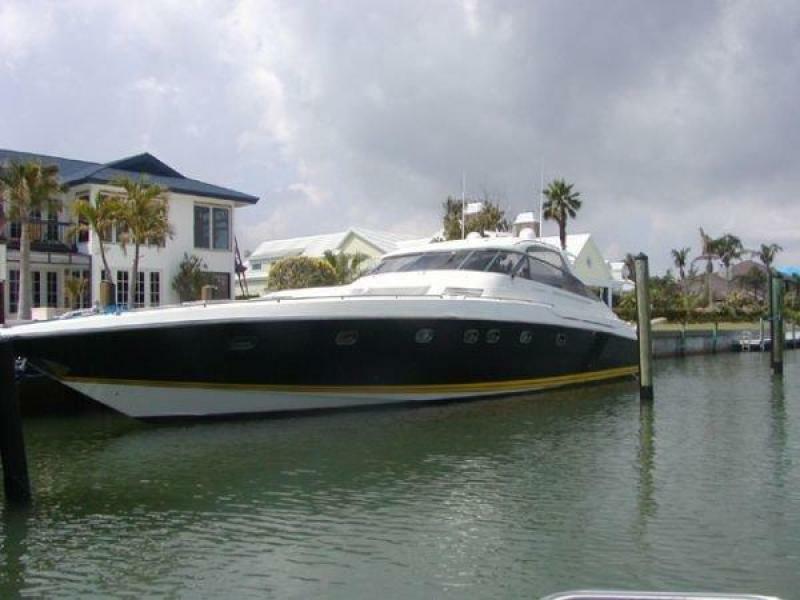 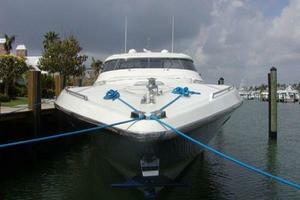 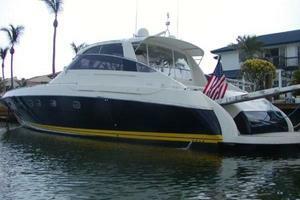 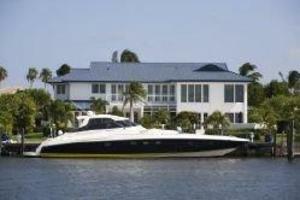 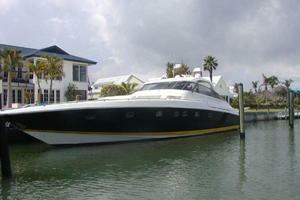 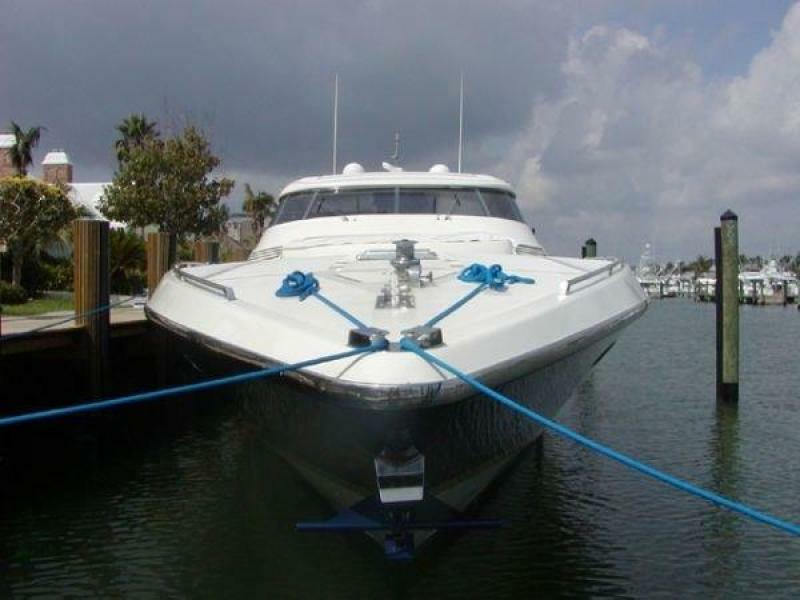 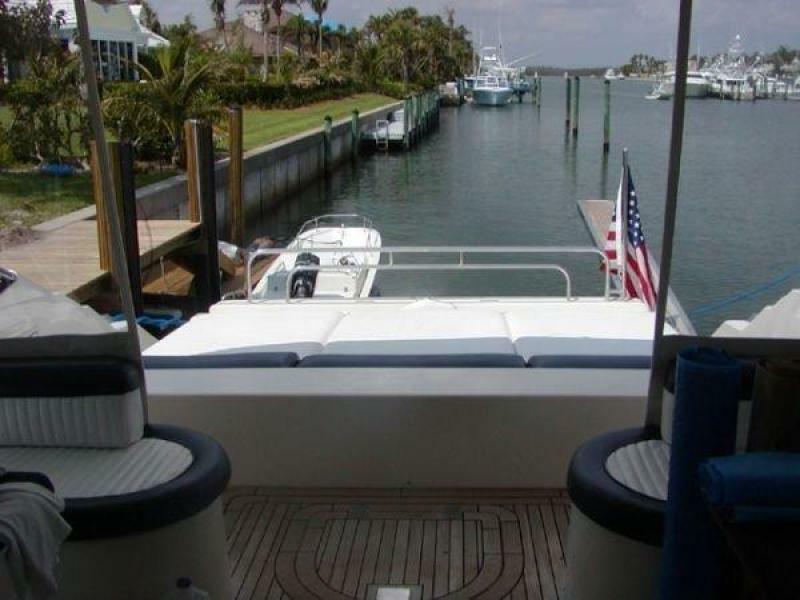 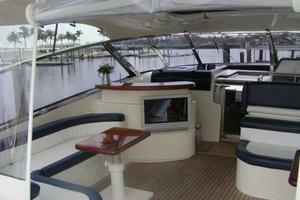 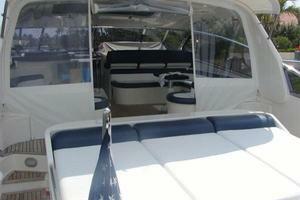 This yacht for sale is located in Stuart, Florida and priced at $799,000. For a showing please contact us by filling out the form on this page and we will get back to you shortly! 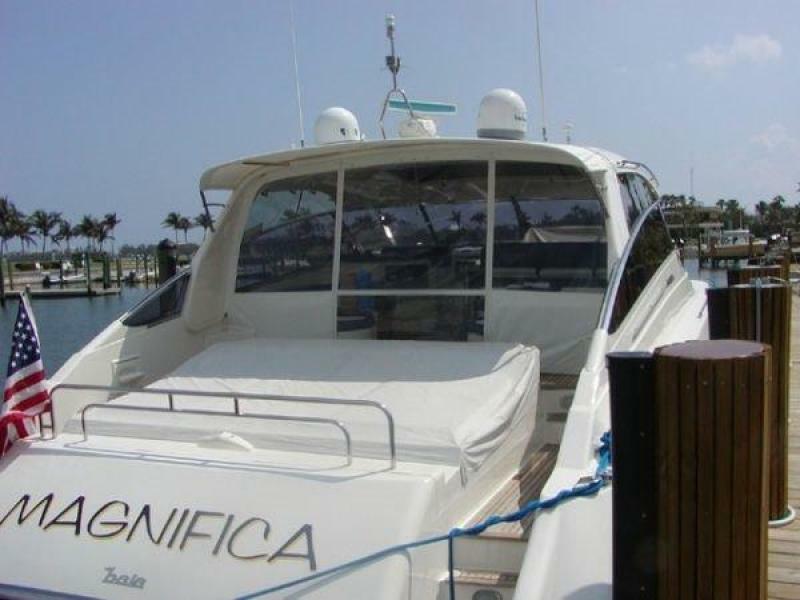 MAGNIFICA is a very large, well constructedexpress cruiser built to the highest standards by Baia Yachts. 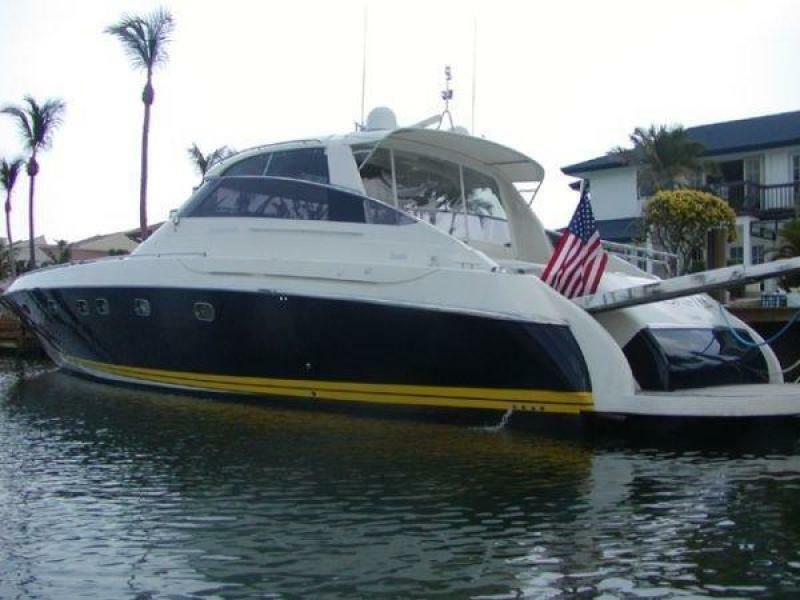 The midnight blue hull is outstanding and the white superstructure compliments the beautiful exterior profile of this stunning Italian yacht.The fiberglass hard top with radar arch is very versatile. 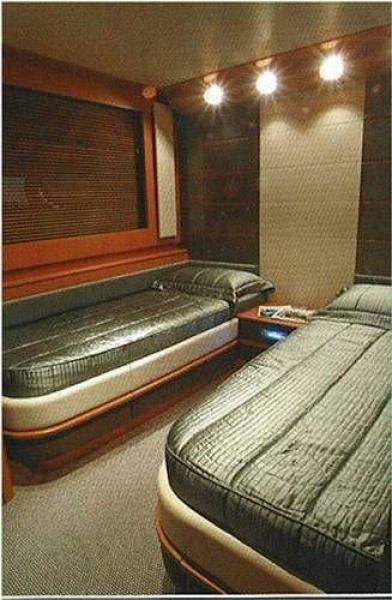 When the electric powered sun roof is closed, the immense cockpit lounging area canbe closed off with Isinglass curtains and air conditioned. 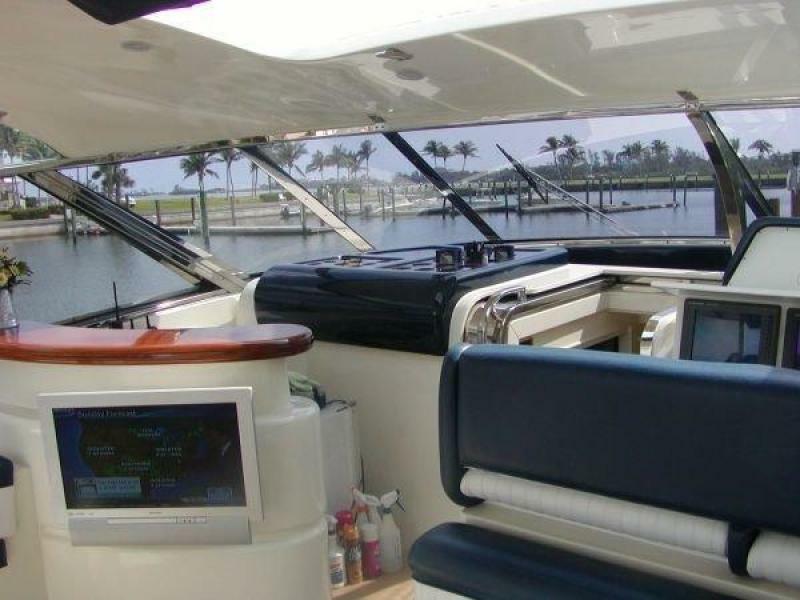 The expansive cockpit has a helm station forward that was given new dashboard graphics in 2013.There is bolstered seating for 6, while to starboard are 2 refrigerated drink lockers, a U-Line icemaker, and wet bar with built-in flat screen TV.Aft is a very large, luxurious U-settee that willseat up to 10 guests, while opposite is an L-settee with space for up to 4. 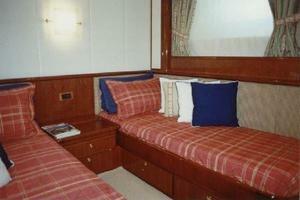 Both cushioned settees have hi/lo tables. 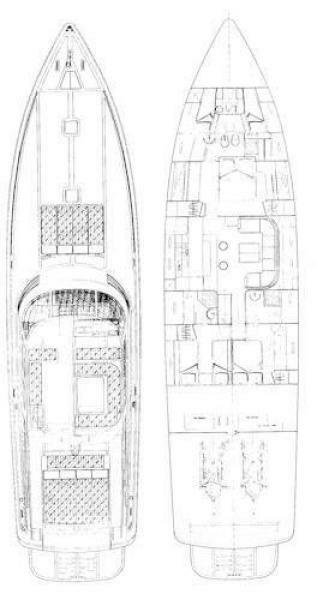 The entire cockpit and aft deck are finished with teak decking. 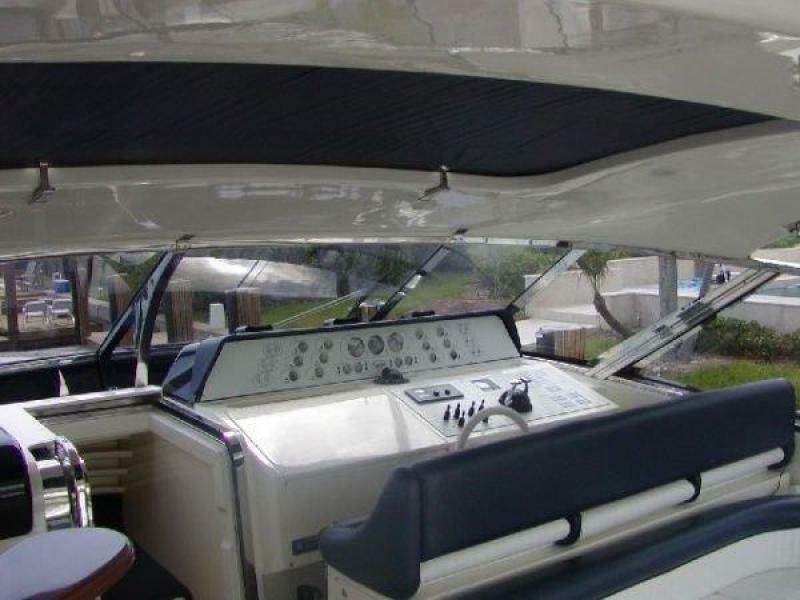 The foredeck is clean, uncluttered and open with a very large sun pad that has a non-skid patterned cover when not in use. 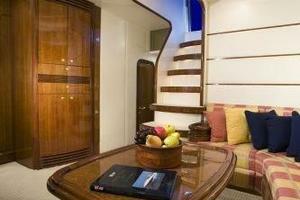 This area also hashatches accessing the crew quarters.A comfortable stairway leads down to the salon. 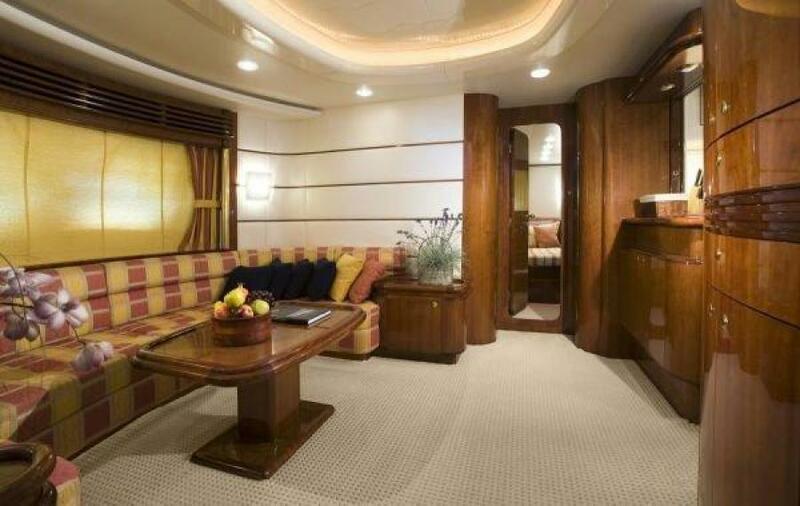 The main salon is beautifully finished in high gloss cherry wood, off-white wall coverings and high quality beige knit carpet. 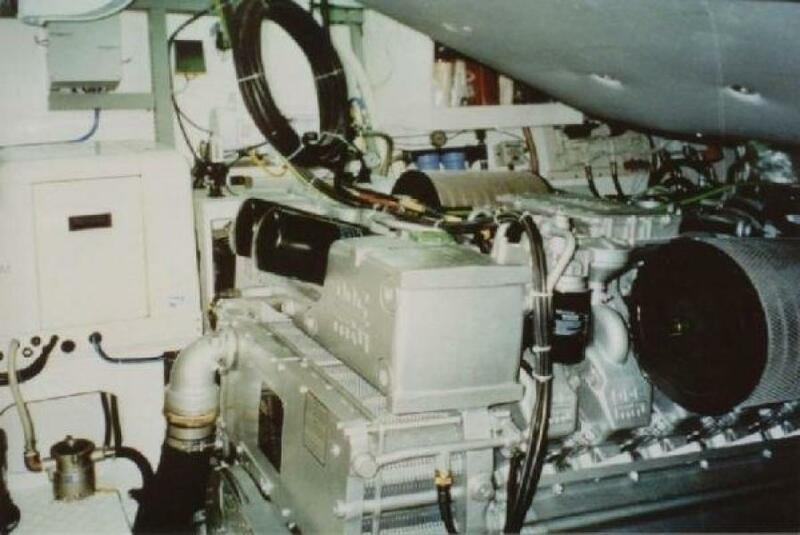 There is a central vacuum system throughout. 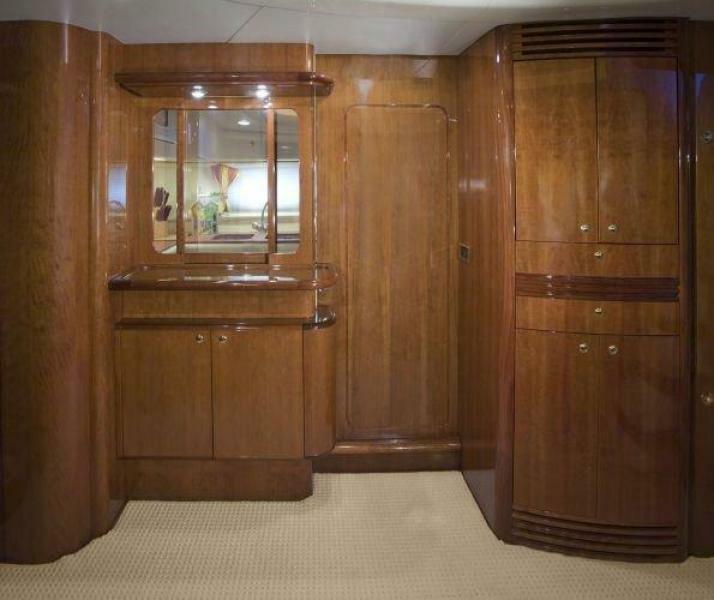 The main salon features an expansive oval seating area to port accented with custom crafted burled cherry cabinetry, drawers and cupboards. The cherry wood entertainment center to starboard houses a Sony Trinitron TV, Sony RXDS stereo system and Sony VHS VCR.The galley to starboard is very functional and can be open to the main salon or enclosed with a beautiful pocket door and sliding partition. 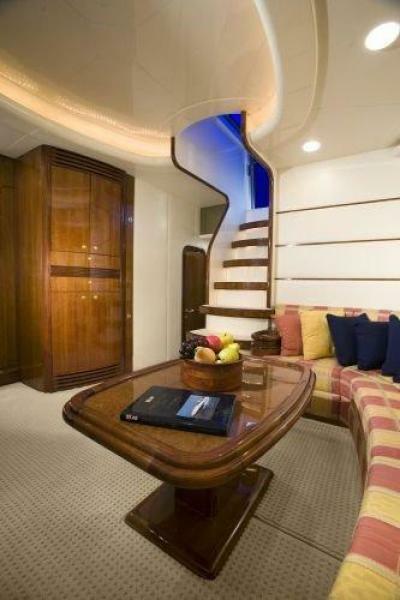 A stairway from the cockpit leads down to the salon. 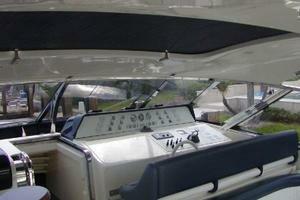 There is extensive direc/indirect lighting with remote switches. 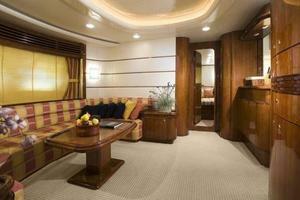 The salon features a high gloss cherrywood interior, off white wall coverings and high quality beige knit carpet. There is a central vacuum system throughout. 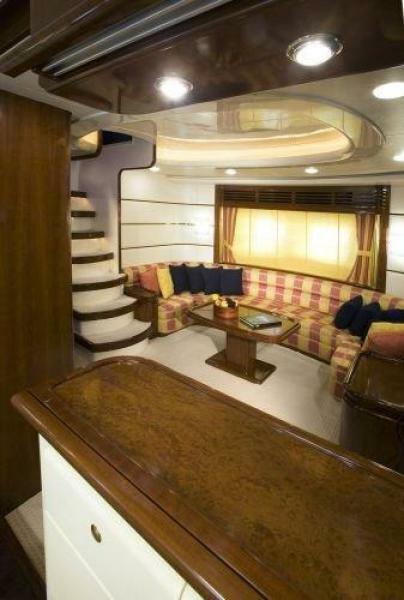 There is a large oval seating area to port with a custom crafted burled cherrywood table controlled hydraulically. 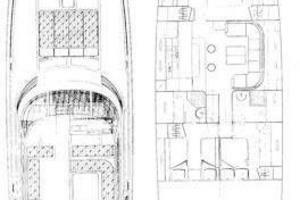 The galley is very functional and can be open to the main salon or enclosed with a beautiful pocket door and sliding partition. 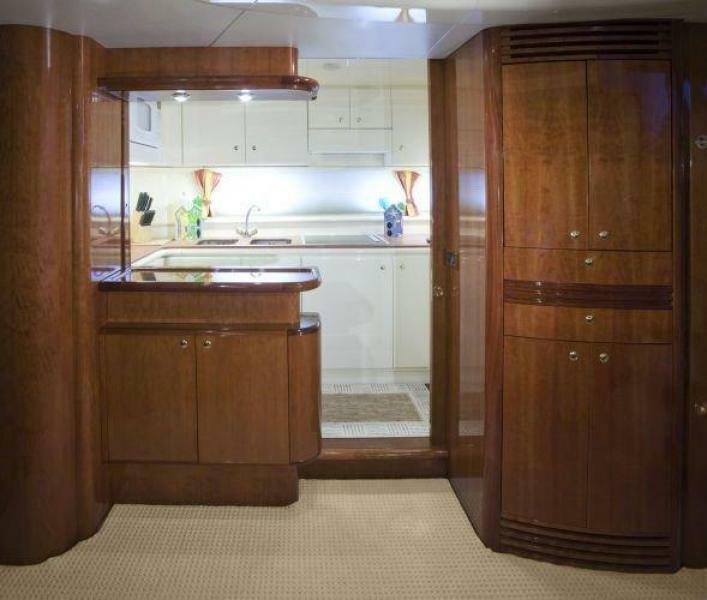 Two large opening ports give good light and off-white high-gloss cabinets and shelves make the area airy and light. 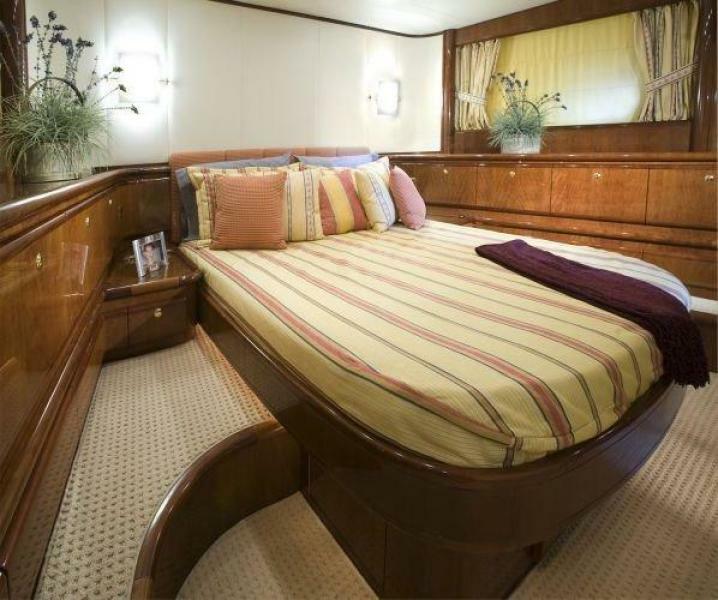 The master stateroom is beautiful and exquisitely appointed with a centerline queen bed surrounded with built-in high gloss cherry wood cabinetry. 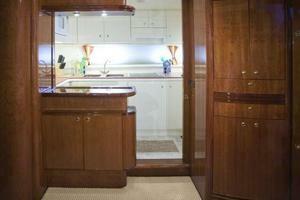 The cabinet tops are finished with a beautiful burled cut. 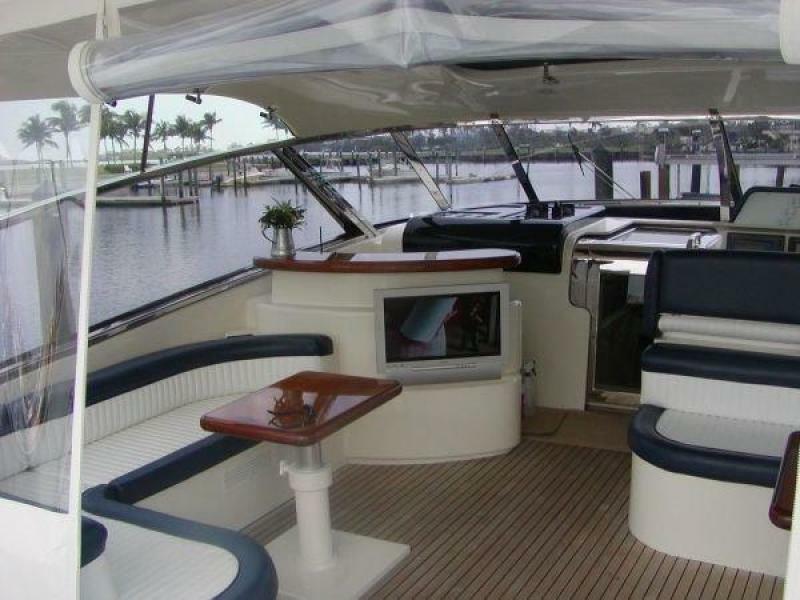 The light head liner and bulkheads compliment the Italian woodwork creating an open, airy space. 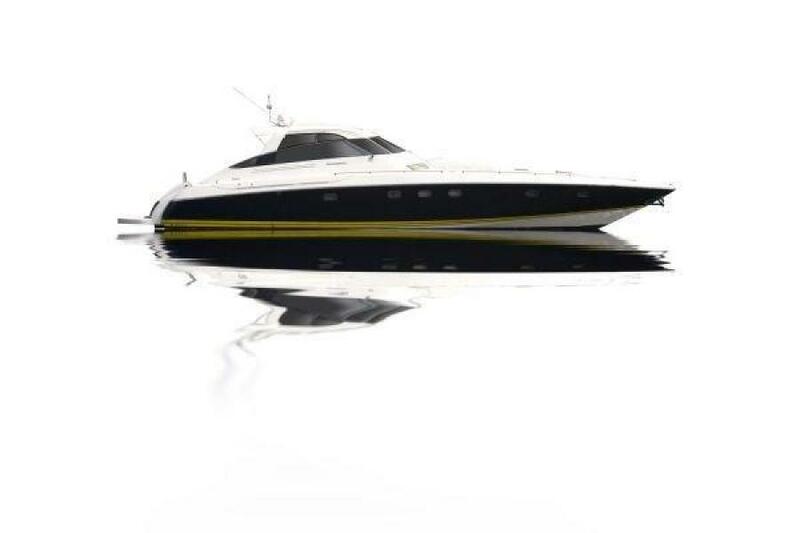 The bulkheads are finished in high gloss white which is extremely practical for cleaning and creates a light, airy ambiance in both the cabin and en suite head.